Mrs. Heather Nuckley Giglio is a native of New Orleans, Louisiana. She began her formal training with Mr.Derek Reese, The Dance Emporium, and was a member of the Jump Street Dance Company. In 1988, Mrs. Giglio performed on television as the winner of the Discovery Talent Search. She has also had the opportunity to dance for Opryland and the Royal Caribbean Cruise Lines. In 1993, she qualified as a teacher of the arts and received her official teacher’s certificate. Miss Nuckley has had intensive training in ballet, tap, jazz, modern, hip-hop, and lyrical. In 1994, she continued to advance her dance education at the University of Southern Mississippi. Her degree mainly focused on ballet, modern, dance composition, music analysis, dance history, labanotation, improvisation, anatomy, and teaching methods. While at USM, Mrs. Giglio was the captain of the Dixie Darlings Dance Team, and a member of the Southern Misses. She was a two-year faculty member at La Studio in Hattiesburg, Mississippi and was the choreographer of the Hub City Dancers, the Oak Grove High School Choir, the Golden Spirits Dance Team, and the Mississippi Junior Miss beauty pageants. Mrs. Giglio's choreography was selected both her Junior and Senior year of college to represent USM at the American College Dance Festival in Alabama and Texas. In 1997, she was a faculty member at William Carey College in Mississippi. 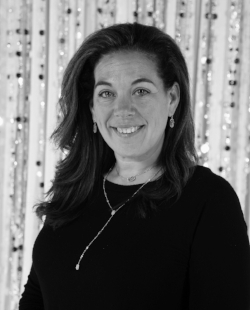 Mrs. Giglio received her Bachelor of Fine Arts Degree in Dance in December 1997. Starlight’s Regional Dance Studio Champions; receiving the highest score based on criteria such as: choreography and technique. In 2004, Mrs. Giglio choreographed a competition routine for the USM Southern Misses. She also choreographed a competition routine for the Our Lady of Prompt Succor Patriettes. During this time, Modern Conceptions of Dance was chosen as Kids Artistic Revue’s Studio Champions in the Secondary & Elite Levels. In 2005, Star Systems Competition awarded Modern Conceptions of Dance with a Second Place Overall Studio Award. In 2006, Mrs. Giglio choreographed and taught the audition routine for the 2006 NFL New Orleans Saintsations, as well as participating in the judging of the preliminary and final auditions. In 2007, Mrs. Giglio successfully continued her relationship with the 2007 NFL New Orleans Saint Saintsations. She has also managed to find time to assist St. Scholastica Academy in compiling a Captain’s routine for them to take to the American All-star Competition. Katie Geeck, a native of Chalmette, Louisiana, began her formal training with Heather Nuckley at Modern Conceptions of Dance. She also served as captain of the Chalmette High School Charmers. Upon graduation from Chalmette High School, she assisted with choreography for the Chalmette High School Charmers leading them to many state and national titles. In 2005, she continued her dance training at The University of Southern Mississippi (USM). She studied modern, ballet, Bartineff Fundamentals, rhythmic analysis, music resources, dance history, improvisation, dance composition, classroom management and teaching methods. She was also a member of the Southern Mississippi Repertory Dance Company where she performed in numerous student and faculty pieces. In 2009, Geeck received her BFA in Dance Education from USM as an honor graduate. Geeck attended the American College Dance Festival where she had the opportunity to perform in both the adjudicated and informal concerts. Miss Geeck was awarded the Most Outstanding Dance Educator Award from the dance faculty in 2009. While at USM, Geeck choreographed for La Studio’s Hub City Dance Ensemble for three years. She was also the Performance Company Director for Hattiesburg Dance Alliance in 2008. Her choreography has been recognized regionally and nationally. She has also had students represent the Southern region at NYCDA’s National Season Finale in New York City as regional outstanding dancers. Currently, Katie is a 3rd grade teacher at Lacoste Elementary School. Se begins her 6th year of teaching as the new 3rd grade teacher leader. Most recently, she completed her MFA in Educational Leadership from University of Holy Cross. Her passion for her MCD students is unparalleled. 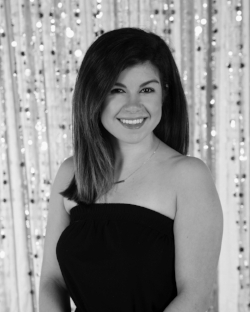 She is the rehearsal director for the mini competition team at our Chalmette Location; she strongly believes in building a strong foundation for our youngest dancers. Jenna's passion for dance and performing has existed her entire life. She began training all styles of dance at Modern Conceptions of Dance in 1999. In 2002, Jenna auditioned for the Repertoire team at MCD. She trained and competed at MCD for 12 years. Upon graduating High School and MCD in 2011, Jenna pursued a bachelor's degree in Communication, Sciences and Disorders. In 2012, she decided to further her dance career as a professional NBA dancer. She auditioned for the New Orleans Hornets Dance Team, The Honeybees, and then continued onto the Pelicans Dance Team where we focused on Jazz and Hip-Hop styles. As an NBA dancer Jenna was given many amazing opportunities, such as getting to dance in the movie, "Daddy's Home." In 2016, she traveled to China with the New Orleans Pelicans dance team twice to promote the NBA and perform in Beijing and China. As much as Jenna loves to dance and perform, she feels so grateful that she now get to share that love with the upcoming dancers at MCD! "I hope that I am able to give my students as strong a background in dance as I received so that they can pursue any dreams they have!" Mrs. Jessica Battaglia is a native of Chalmette, Louisiana. She began her dance training with Mrs. Glenda Hoselle, Glenda Hoselle School of Dance. In high school, she was a member of the Chalmette High School Charmers where they were awarded many state and national titles. In 2002, she formally trained at The University of Louisiana at Lafayette. She received extensive training in ballet, modern, tap, jazz, rhythmic analysis, dance history, improvisation, and dance composition. She performed in numerous faculty, student and guests artists' pieces throughout her training including Frank Vega, Aaron F. Girlinghouse and Jawole Willa Jo Zollar. She also choreographed a piece titled “You Inspire Me” which was selected as part of the Evening of Dance program. Battaglia attended the American College Dance Festival on 2 occasions where she studied advanced ballet, advanced modern, advanced jazz technique, and a number of other styles offered. Both times at ACDF, she had the opportunity to perform in the adjudicated concert. While at ULL, she also trained in the technical side of the stage which composed of music, lighting, and stage director. In 2006, Mrs. Battaglia, a ULL honor graduate, received her Bachelor of Fine Arts Degree in Performing Arts with a concentration in Dance. Upon graduation, Mrs. Jessica was a guest faculty member of the Summer Dance Workshops for Dance Works Center in southern Louisiana. She often is a judge for DWC Company. In 2012, she started assisting at Modern Conceptions of Dance. The very next year and since then has taught at MCD. Mrs. Jessica also directs Modern Conceptions of Dance: Princess Camp and Diva Jazz Camp each summer. This year Mrs. Jessica will be teaching all ages of combo classes. She will also be assisting with the beginner level hip-hop. Mrs. Jessica is very happy to work under the direction of Heather Giglio and to have the ability to spread the love of dance to her students. Rachael has been part of the MCD staff for four years. She is knowledgeable in ballet, jazz, tap, modern, contemporary, and hip hop. Rachael received a Bachelors of Liberal Arts in Mass Communications from the University of Louisiana at Lafayette. She trained extensively through the University’s Dance Program where she performed in pieces through the Modern Department. Rachael was a member of her college dance team, ULL’s RAJUN’ JAZZ, as well as dancing for the LOUISIANA ICE GATORS, an ECHL Professional Hockey League. Rachael’s passion for dance is exemplified through her teaching and working with her students to further their dance education. Libby Cotter began her classical ballet training at age 8 in Andalusia, AL. She studied at Andalusia Academy of Ballet under the direction of Meryane Martin Murphy. Her summer study includes American Ballet Theatre, North Carolina School of the Arts, Joffrey Ballet School, Nutmeg Conservatory, Ballet Hawaii and American Dance Festival. After high school graduation she attended the University of Southern Mississippi and earned a BFA in Dance Education. After graduation from USM in 2008 she moved to Mobile, AL to teach in the public school system. She taught 4 years at Old Shell Road Performing Arts School (k-4) and 2 years at Dunbar Magnet School (6-8). She served as the president of the Dance Teacher Association while in Mobile. She moved to Madisonville, LA in 2014 and became a MCD faculty member. She currently teaches ballet in Challemette and Covington and the homeschool program in Challemette. She loves sharing her passion for classical technique, dance education and professionalism to create a well rounded dancer. She is married and has three super cute kids!! Mrs. Michelle Hearty Dubos is a lifelong resident of Chalmette, Louisiana. She has always had a passion for dance, which started at a very young age. She attended dancing school and graduated with 14 years of training. She now has 33 plus years of dance experience. Michelle was a member of the Chalmette High School Charmers. She was lieutenant her sophomore year and finished off her senior year as co-captain. She’s received several awards and was selected to travel with The American All-Stars Dance Team. In 2013, she began assisting combo classes at Modern Conceptions of Dance. She truly enjoys dedicating her time to young children and teaching the beginner techniques of dance. The past two years, she was assistant choreographer for St. Catherine’s Gatorettes Officer Dance, which placed first both years. 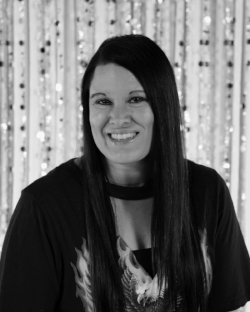 Teaching dance camps, stretch classes and private lessons, Michelle is always helping the kids at Modern Conceptions of Dance grow in any way they can. She loves to assist with the mini competition team when extra help is needed. Michelle attends most competitions to show her support. With her associate of General Studies Degree, she currently handles all administrative duties for BOE-TEL Communications LLC and teaches at Modern Conceptions as much as she can. Michelle would like to express how grateful she is to be a part of the MCD family, and thank Heather Nuckley Giglio for entrusting her with the students of her studio. Mrs. Jenny Lacoste, originally from St. Charles Parish, started dancing and tumbling at the age of 5. She had 10 years of dance training and 12 years of tumbling lessons. Although Jenny loved dancing, she realized her passion was cheerleading. She went on to cheer at J.B. Martin Middle School (Captain), Hahnville High School (1st Co-Captain) and at Nicholls State University, where she held the Captain position for two consecutive years. While in college studying Public Relations, Jenny was a member of the Universal Cheerleading Association staff for four years and spent her summers traveling all over the southern United States teaching cheer camps and coaches clinics. Along with teaching cheerleading camps she also worked with individual middle and high schools on choreography, stunting and tumbling. Jenny graduated from Nicholls State University with a Bachelors of Arts in Communication. In May of 2007 she became a member of the New Orleans Saintsations and danced for both the 2007 and 2008 NFL Saints’ seasons. While a New Orleans Saintsation she traveled with the team to London, was part of an NFL Mexico tour and was selected to teach two Super Bowl cheer clinics in Phoenix, AZ and Tampa Bay, FL. Jenny is excited to have her first year with Modern Conceptions of Dance be their 20th year in business. She welcomes the opportunity to take the MCD Chalmette tumbling classes to the next level and produce some of the best tumblers Chalmette has ever seen! Currently, Jenny is the Director of Events at Holy Cross School. Jenny and her husband, Lance, live in Chalmette with their daughter Evie. "Behind every dancer who believes in themself, is a teacher who believed in them first." Kurk Nance was born in Detroit, Michigan where he began learning the Detroit-based footwork style “Jit” at the age of 5. During high school, after moving from Michigan to Mobile, Alabama, he joined the dance crew “KRL”, where he learned to choreograph, perform, and make dance videos. After joining the dance program at Murphy High School, he became familiar enough with modern and ballet to audition for college programs. Nance was a Repertory Dance Company member at the University of Southern Mississippi. He was one of the four original members of “High D.E.F.”; a dance crew that won best new club at USM in 2012. In 2013, he performed in “Beyond Him” choreographed by Meredith Sutton that was adjudicated at the National College Dance Festival at the Kenneday Center in Washington DC. In 2014, Nance was appointed President of “High D.E.F.”. And won the Langston Hughes Artistic Excellence Award for Dance at the 2015 Eagle Awards for his senior project “Coulombs Law”. Nance graduated from USM in May 2015 and was a performer at Hibbett Sports’ new line reveal for Nike in 2014 & 2015. He was an instructor here at MCD for the 2016-2017 season before leaving to Los Angeles, where he trained with KreativMndz for three months. Now he’s back and excited to teach some moves. Dorothy Nunez is a female dance artist and maker. She began her dance training at Modern Conceptions of Dance. During High school she attended NOOCA (New Orleans Center for Creative Arts). In 2016, she received a BFA in Dance from The University of the Arts under the direction of Donna Faye Burchfield. She has performed in works by Jesse Zaritt, Netta Yerushalmy, Sidra Bell, Katie Swords-Thurman, Teddy Tedholm and Inger Cooper. After college, she moved to New York where she danced with ingercooper|dancers as well as showed her own work throughout Philadelphia, PA and Brooklyn, NY. In the fall of 2017, she was a part of Cultivating Leadership in Dance program at Pentacle. Most recently, she was a part of the DTU faculty for their nationals in Biloxi, MS. Currently, she is an artist in residence at the OU Gallery in Vancouver Island, Canada beginning December 2018. Her main goal is to encourage dancers to expand their movement and their minds; to teach them that dance is endless, smart and necessary!